I've talked about these readers a little bit in the past. (I picked up the Voyage of the Dawn Treader readers the moment I saw them in the bookstore!) I like them for younger readers (even though they are based on the movies, and not the books) because they are helpful in introducing the littles to these magnificent stories. In saying that, I think the original stories can be shared fairly early on in life, but the mythological creatures can be a bit perturbing and questionable to children ages under the age of 4 (at least, that's how it is in our house!) While I am longing to share both the books and the movies with my children, they are a bit young yet for full exposure to the series. (We did, however, read The Lion, the Witch, and the Wardrobe together and loved it!) The readers help to familiarize them with what's to come and so I'm generally in favor of them. As such, I always keep my eyes open for used copies (seeing that I didn't catch on to the idea of purchasing the readers when the first two movies came out!) and have a little collection for ourselves. I found some duplicates though that I would like to pass along to some of my Narnia friends. 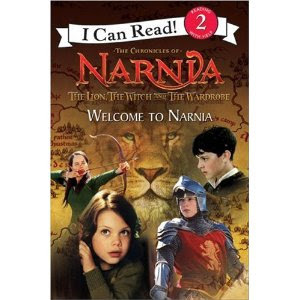 Would you like to win a copy of The Lion, the Witch and the Wardrobe: Welcome to Narnia (I Can Read Book, Level 2) and Prince Caspian: This Is Narnia (I Can Read Book 2) ? Simply leave a comment below! This contest is open to U.S. Residents only and will be open through Thursday, July 21st. Further up and Further In! Inch by inch as the case may be! THE ABOVE CONTEST IS ALSO NOW CLOSED. 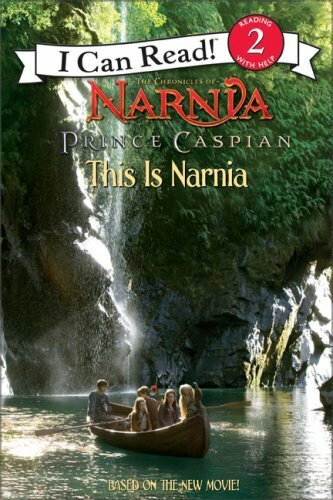 THE WINNER OF THE NARNIA READERS (as selected by random.org) IS: #4 - WMMAHANEY Congrats! I'd love to share the wonders of Narnia with my daughter! Awesome. I love Narnia, and so do my kids. I just stumbled upon your blog. I look forward to reading more of your reviews. I would love to win these! I have a beginning reader and these would be perfect for him. What a great way to encourage reading. What fun! I'd love to introduce my little readers to Narnia. Please enter me in your giveaway. These books look great! My kids are crazy about Narnia. I am a new follower came over from the Book Blogs. I'd love to share these with my younger son-- thanks for the giveaway! My grandson would love to read these Nardia books. he loves the movies! My family would love these! Thanks for the opportunity to win.